Are you looking for a sewer inspection camera for sale? We, at Easy Cam LLC, are one of the leading companies that deal in used Rigid sewer cameras. We have been doing this for years and can spot a pre-owned camera in the prime condition. 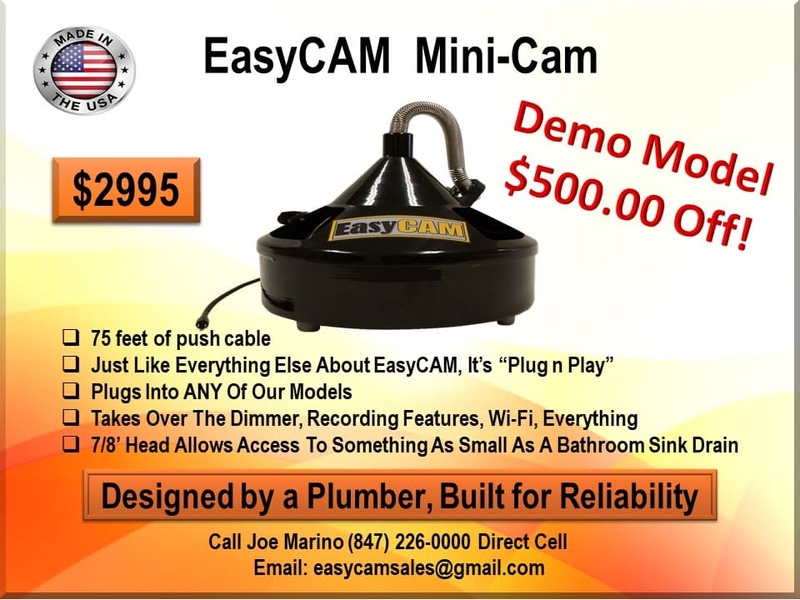 You can find different sewer cameras for sale at Easy Cam at the most affordable prices. Warrantied units are also available to offer you peace of mind in terms of quality. Call us today to benefit from our exclusive used sewer camera for sale deals. 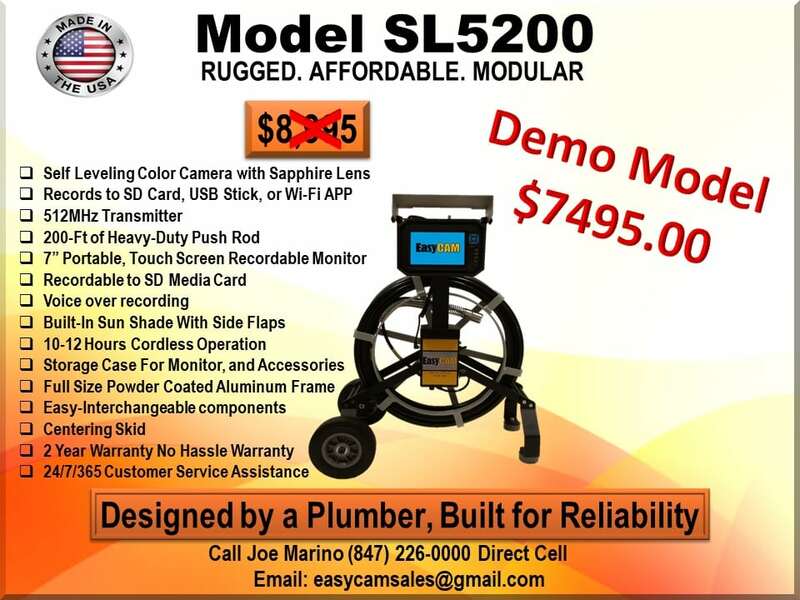 EasyCAM is now offering pre-owned used sewer camera systems at affordable prices. We only accept trade-ins from our customers that take great care of their equipment! Take advantage of this affordable pre-owned, upgraded equipment in excellent condition! Our pre-owned units fly off the shelf quickly! Call now to take advantage of this first come first served program. Affordable financing available!